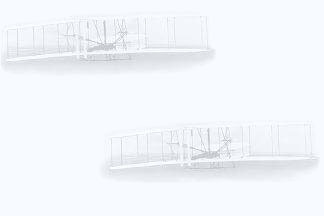 Sir George Cayley was called by his biographer the Inventor of the Airplane. That seems a little too strong for my taste, although Cayley did build and fly a glider that carried a boy for a short distance. His real contribution was a paper entitled On Aerial Navigation that was published in three parts in Nicholson's Journal. In this paper, Cayley argues against the ornithopter model and outlines a fixed-wing aircraft that incorporates a a separate system for propulsion and a tail to assist in the control of the airplane. Both ideas were crucial breakthroughs necessary to break out of the ornithopter tradition. Cayley's triple paper On Aerial Navigation is now available in full. The final proofing has not been done, so please report any errors you find. On Aerial Navigation, Part One. On Aerial Navigation, Part Two. On Aerial Navigation, Part Three.